LAB is an activity where we experience and develop common projects in different disciplines. The first project produced different plastic and graphic works, applied arts studies, product designs prototypes, furniture, tests about native materials re-use and ceramic production. We are currently working in the textile collection “SUMMER ESPARTO BASKETS “. At the same time, the activity remains a social commitment spreading the artistic production techniques. The sponsorship from various organizations and agencies contributes to the employment areas development and stimulation to reduced abilities people. Esparto, halfah grass, or esparto grass, is a fiber produced from two species of perennial grasses of north Africa and southern Europe. It is used for crafts, such as cords, basketry, and espadrilles. Stipa tenacissima and Lyceum spartum are the species used to produce esparto. Stipa tenacissima produces the better and stronger esparto. It is endemic to the Western Mediterranean (growing in Portugal, Spain, Morocco, Algeria, Tunisia and Libya). The Spanish name for the plant is “atocha”; a pre-Roman word, probably Iberian. 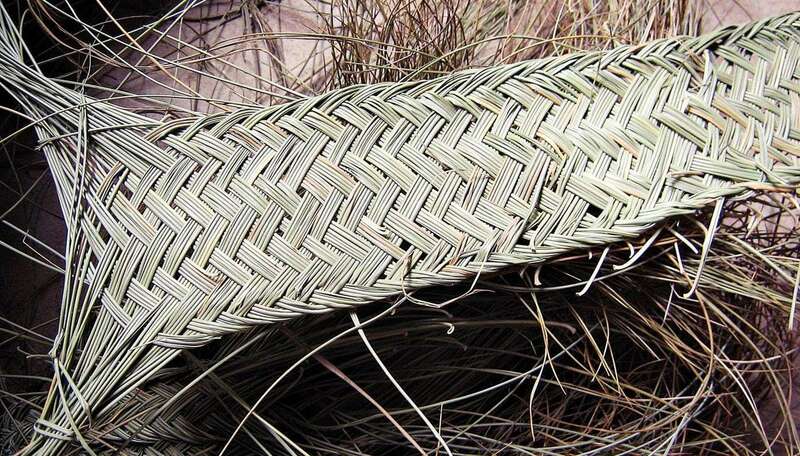 “Esparto” or σπάρτο in Greek may refer to any woven products of sedge or broom, including cords and ropes. This species grows forming a steppic landscape – esparto grasslands – which covers large parts of Spain and Algeria.